The owner of “DOMUS – Home Inspection Services”., Rob Curtin, has been a licensed Architect in many states including Maryland, and a member of the American Institute of Architects for over 35 years. He retired from full-time practice as a COO having personally designed and built more than 200 award-winning projects ranging from major corporate headquarters to single-family homes. Rob formed DOMUS in order to offer clients his unparalleled depth of experience and understanding of construction to give each client the peace of mind knowing that his background and advice helped you make the right choice for your family’s investment and future. His dedication to RESPONSIVENESS means he will ensure you understand the nuances of the property you are purchasing. 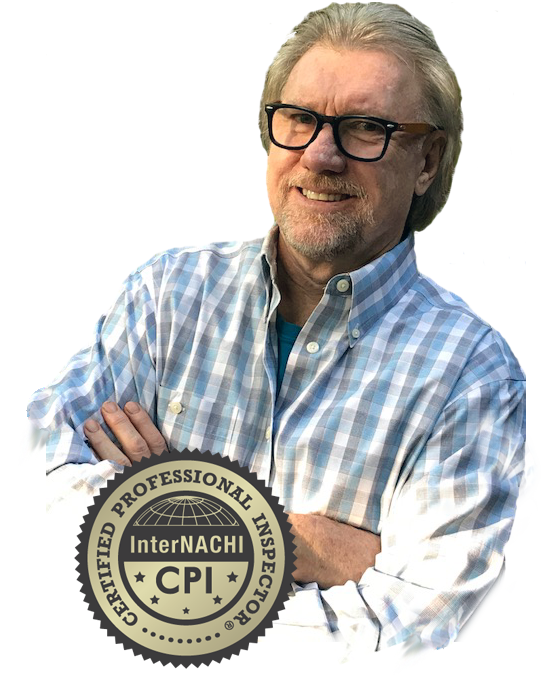 As a Certified Professional Inspector® trained by InterNACHI® — the International Association of Certified Home Inspectors he has the knowledge to spot problems with materials, installation and workmanship that other inspectors might miss. We are committed to following a comprehensive Standards of Practice as defined by the State of Maryland, which ensures that you receive a detailed and accurate home inspection, and we abide by a strict Code of Ethics, which puts your interests first and protects your rights as a consumer. Rob understands how stressful a real estate transaction can be. So, whether you’re buying or building a new home, selling the one you’re in, or purchasing an investment property, let “Domus Home Inspection Services, LLC”, give you the peace of mind you deserve to make the right choice for your family’s future.